This story has all of the pieces needed to paint a clear picture of the terrorist (jihadi) network in the United States. 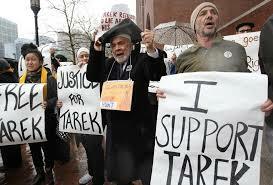 Tarek Mehanna, a young Muslim from Sudbury, Massachusetts, provided material support to Al Qaeda and planned to kill people in furtherance of jihad. 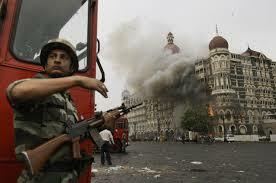 He is tied to the massacre in Mumbai through a network of jihadis and Muslim Brotherhood organizations in Massachusetts. 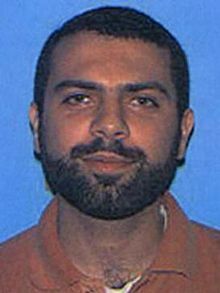 Mehanna and his co-jihadi Ahmad Abousamra were also planning to kill shoppers in a New England mall. They were indicted in November 2009. Mehanna is in prison. Abousamra runs social media for ISIS and is on the FBI’s Most Wanted List. The story of the network unfolds in this excellent 8 minute video courtesy of Americans for Peace and Tolerance. Watch it HERE. Rossini’s overture to William Tell serves as a demonstrable reminder that a “calm” consistently precedes a “storm” and the “chase”, perforce, is simply what follows. I.e., the obvious lie supporting the contention that Islamic-jihadist terrorist attacks in the United States are unrelated to Islam, thus simply equate to “violent domestic crime”, or in FBI lingo “Part-1 Offenses” – instead of being part of the existential war of survival that we as a people had better start FIGHTING, or transition to “toast”. Thus, the recent LULL in the frequency of Islamic jihadi terrorist attacks on American soil are neither serendipitous nor indicative of the asinine belief that domestic law-enforcement overtures are winning said war – they’re a tactic as old as Methuselah with respect to DIVERSION, to (contextually) enhance the chance of an alleged multiple-count federal felon & inveterate liar of winning the impending U.S. election – a contender who has publically announced over-and-over-again that if elected, a 500% increase of un-vetted Muslims entering the country will become a high priority of the country’s “progressive” agenda. The “Beltway Snipers” didn’t show up in the “Capital of the Free World” – Washington DC – accidently, any more than the marathon bombers in Boston, “the cradle of American Independence” didn’t know the historic significance of their target, which was selected by someone for the express purpose of killing, among others. our innocent children; they were assigned to those places by the most fundamental element of war that exists, I.e. by the Global Islamic Movement’s version in the United States of “Command & Control”. And had the penultimate & current directors of the FBI not effectively dropped to their knees and acquiesced to the removal of the bureau’s operational & training data, consisting specifically of the 1600 pages referencing Islamic terrorists and Islam, the foregoing examples of barbarism, and (globally) perhaps thousands of others might never have happened. For as Rossini so astutely warned with his world renowned magnificent music, after the “calm” comes the “storm”. In the meantime, with respect to the missing piece of the puzzle, watch your back, and think CAIR. God bless the Special Agents of the FBI, and God bless the U.S. Marines.